Sid Sackson board games are among the best in strategy board games, requiring careful thought to come out on top, whether a player is selling goods in a foreign bazaar or negotiating a corporate takeover. Sid Sackson is an iconic figure in the board game community, largely due to his prolific output of successful and award-winning games. Released in 1962, Acquire was one of the first Sid Sackson board games. However, the game's focus on business deals and manipulations has remained timeless. Players use tiles to stake their claim on sections of the game board, dealing with mergers, takeovers, and stock options to emerge as the top business dealer. Although the game initially dealt with building hotel chains, more recently the concept was changed to unnamed corporations, but gameplay remained the same. BuyWord combines the word-building of Scrabble with buying and selling strategy. After pulling letter tiles from a bag, players must buy them to form words. The longer the word, the more money you earn when you "sell" it, and the player with the most money at the end of the game is the winner. At first glance, investment deals might not seem like the most exciting topic for a game, but in I'm the Boss, investing is equal parts careful planning, cutthroat deals, and sabotage. Players attempt to make deals as they travel across the game board, but successful deals rely on the cooperation of competitors. The game was originally published in Germany as Kohle, Kies & Knete. Collect grain, fruit, copper, carpet, camels, and jewels while traveling throughout a desert land. Strategic planning is required to sell your commodities to your best advantage and earn the most money to win. Rules restricting movement around the board add to the challenge of the game. This game was originally released as Bazaar. However, Sackson had already created a game by that name with a similar trading theme, so after some time of referring to the game as Bazaar II, a few changes to the game design were made, and it was re-released with its current title. In addition to his board games, Sid Sackson also contributed to the world of gaming through a series of books. Card Games Around the World includes over 60 games, from classics like Pinochle to a unique football-themed card game. 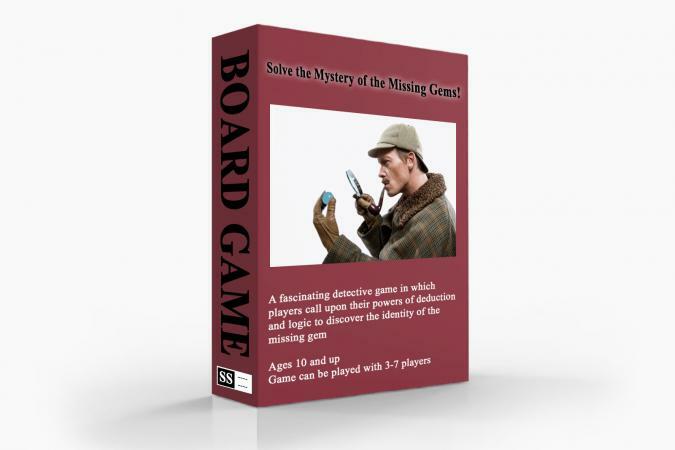 A Gamut of Games features rules for paper-and-pencil games, card games, and strategy games using common board games like chess or checkers as a base. Sid Sackson was even a contributor to The Book of Classic Board Games, created in conjunction with Klutz Press. This spiral-bound instructional manual is a rulebook and playing surface all in one. Many Sid Sackson titles are out of print, so you won't be able to find them at your local game store. You may get lucky by hunting yard sales, thrift shops, and flea markets. Online auctions and the Amazon Marketplace are other potential sources for used games. Game conventions with dealer rooms may also offer hidden treasures. Be cautious when buying board games used, and make sure there are no missing pieces. However, with the wealth of information available online from fans of the games, a missing rule book isn't the deal-breaker it once was. If you're concerned about the quality of used games for sale, Funagain Games is an online retailer guaranteeing the completeness and condition of its used titles. Keep an eye on the constantly changing selection for elusive Sid Sackson board games.